Joey Monsoon’s paintings are an effort to construct revelations of our imperfections. 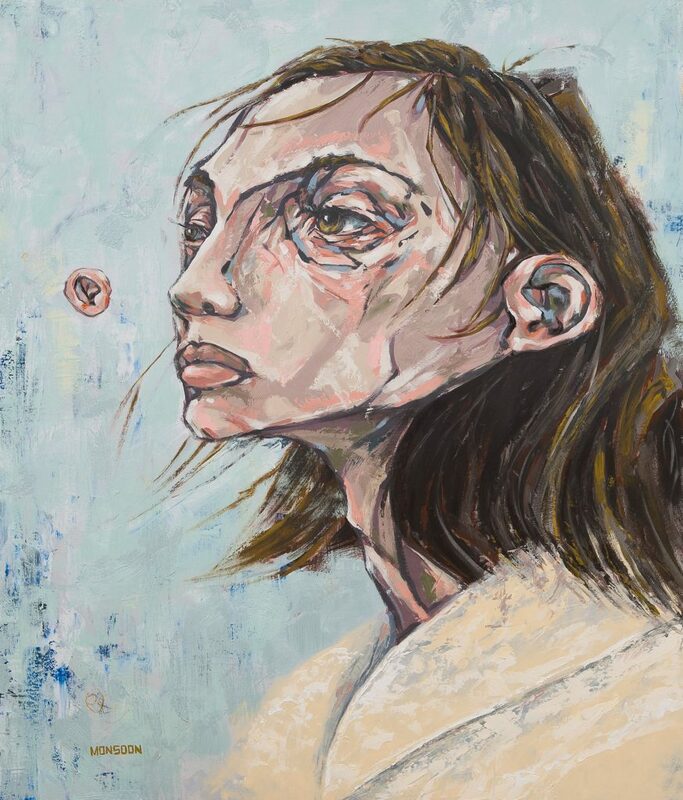 Built on narrow structures of flesh and bone, the portraits depict the turbulence and resilience of the body. The subtle distortions of anatomy point inward to the marks of a life endured and overcome. The figures are isolated from contextual environs just as living tends to isolate the image one has of oneself.Â It’s rare to see a self-taught artist so interested in the anatomy of his characters; how muscles and sinew animate bodies that have felt the weight of the world. Life may have beaten them up, but they can take it. Monsoon’s work finds a mythic heroism in our common journey through our personal Underworlds. Joey Monsoon knows these people, and he respects them.Â These paintings are brutal with beauty.